Just mucking about in the trpoical weather in WOOL FELDGRAU. phew. 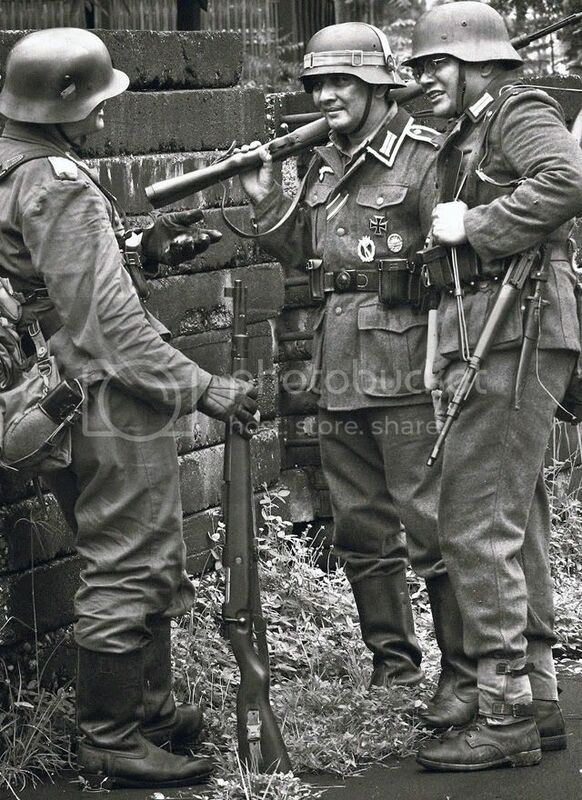 Nice "period" combat photography for German propaganda magazine. The last one really looks so 1940's B&W. They don't look very German/Aryan to me. Can't be perfect in that sense...much like the american, french and british "japanese" reenactors. All in the spirit of goofing around in outlandish outfits in ridiculous heat. But if you're in need of proof of authenticity, the Wehrmacht had thousands of asiatics under their service in the form of the ost-truppen. Lots of photos of these. Well, whaddya know? Learn something new everyday. So where were these Asiatics recruited from and where did they serve? I don't think the 3rd Reich ever reached the Asiatic lands of the Caucasus today (all the -stans), did they? Lots of captured russians from the steppes in the early days of the war came from the east. given the choice to fight for the WH or die of starvation as prisoners. Most were sent to the west as they didn't want them fighting Russians. Most quickly surrendered. 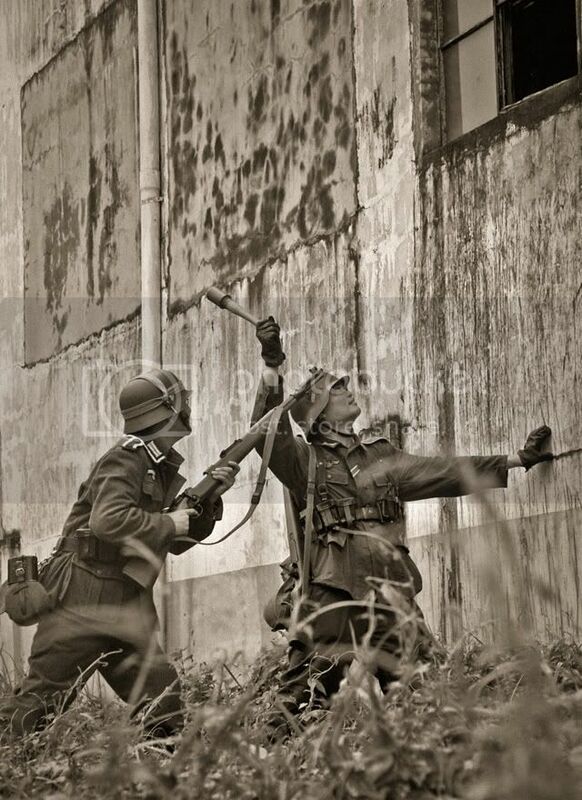 Lots of pictures of these guys captured in Normandy. Also lots of asiatic cossacks volunteered and served under a paricularly popular German officer (his name escapes me at the moment). These guys served with distinction and met a terrible fate when handed back to the Russians. 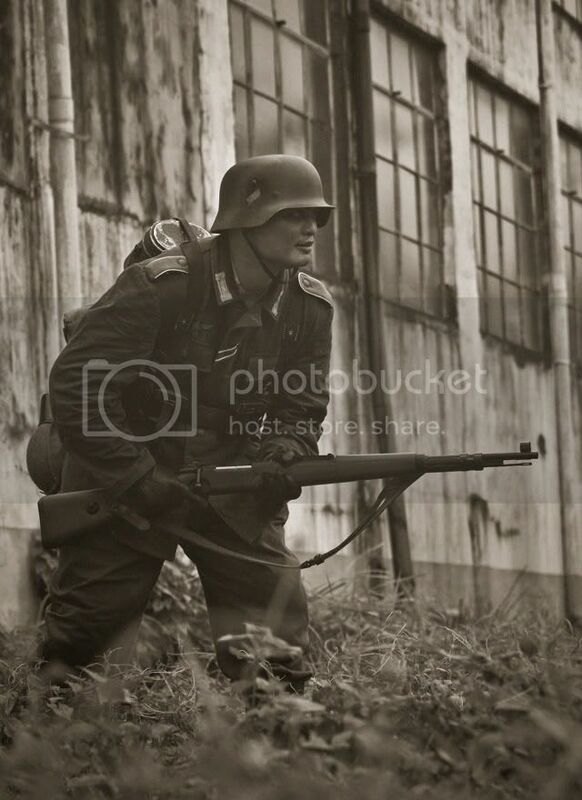 There were also a case of some isolated indonesians serving in a dutch unit in the waffen SS as well as a Thai who later became an officer in the Thai army, Lucien Kemarat who served n the French Charlemagne division of the waffen SS. Most interesting was the son of Chiang Kai Shek who was a Panzer Officer but was quickly returned to China after the Japanese joined the war. "Most interesting was the son of Chiang Kai Shek who was a Panzer Officer but was quickly returned to China after the Japanese joined the war." Wow! 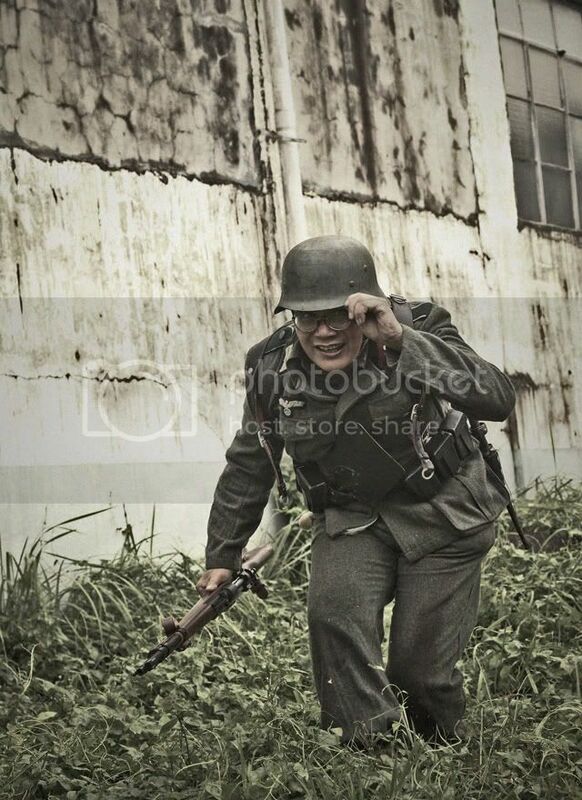 Chiang Kai Shek's son, a panzer officer! Dream as if you'll live forever! Live as if you'll die today! Where are the baddies?........I see no soviet troops here. 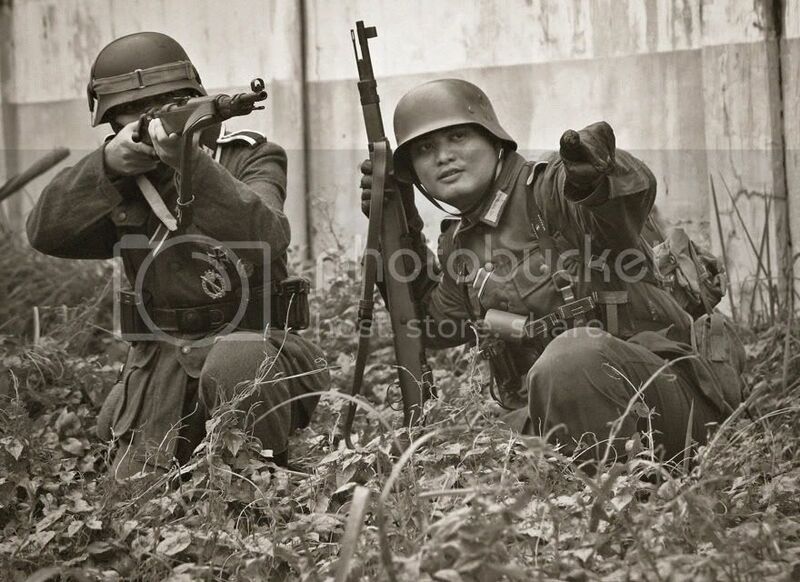 Whoa, so some Pinoys became Nazis?